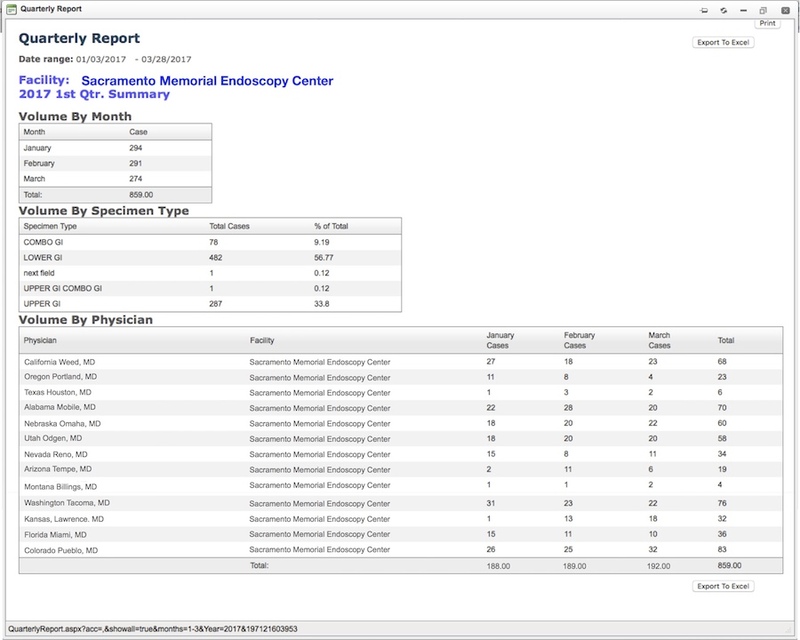 The Management Reports module provides custom reports beyond the basic Turn Around Time (TAT), Cancer, and Quality Control (QC) reports. The module allows the user the ability to customize each report. If the data is in the system, a report can be generated. These reports can also be generated to provide information to your customers. WebPathLab posts the results on the screen and allows the user to filter, and sort the data and then generate either a PDF report, or most commonly export the data to an external spreadsheet application like EXCEL or Numbers for further data manipulation. Volume of cases summary by quarter or month for physician, specimen type and/or facility.